Fairies Forest is an online casino slots game by NextGen Gaming. It is a light, easy, and breezy slots game with a little sparkle and wonder. The online slots game features Scatters, Free Spins, Multipliers embedded within a woody magical forest. Fairies Forest has 5 reels, 3 rows, and 25 pay lines. This online slots game allows for bets to be placed on pay lines from £0.01 to £2. 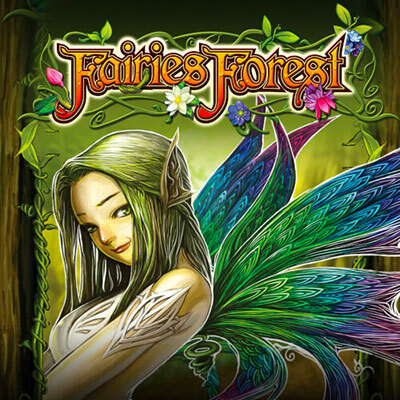 Fairies Forest is a pretty little online slots game by NextGen. It features an enchanted forest with vines and flowers and mystical little flying ladies ready to expand and share with you big wins. The slots game features the traditional playing card symbols (9, 10, J, Q, K , A) and mystical forest features like stones that sparkle and wild flowers. The game transports you to a world of mysticism and enchantment and embraces you with bonuses and winnings. The symbol with the Sparking Forest represents the Scatter in this online slots game. When 3 or more of these Scatters appear on the reels, the Free Spins round is triggered. The Free Spins feature gets triggered when 3 or more Scatters appear on the same spin. Players are rewarded with 10 Free Spins. During the Free Spins, an expanding Fairy is activated. So anytime the fairy lands and expands on a particular win, the winning gets automatically multiplied by 3 times. The Free Spins feature can also be retriggered to get players more Free Spins! If you land 3 more scatters during the Free Spins Round, you will receive additional Free Spins. Fairies don’t always play nice. But sometimes they do. If you’d like to put that hypothesis to a test do give the Gamble Feature a go! You’ll have the option of gambling after a win. The gamble you will have to make is a guess of either suit or colour of the upcoming card. Every correct guess will double your amount for up to 5 plays in a row. However, 1 wrong guess and you risk to lose everything. Fairies Forest provides a nice backdrop for an online casino slots game. It allows you to switch off, lay back and mentally partake in the prancing. It is simple and to the point. There could have possibly been a little bit more in terms of either graphics or gameplay to make the game a little bit more unique but sometimes all you want to do is return to basics without all the glitz of modernity and innovations. For days like this, Fairies Forest is the game to turn to.